If we asked you how long your employer would pay you if you were off work with say a broken leg / arm etc would you know the answer? Would you presume your employer would continue to pay you full pay until you returned to work? Most people we meet do not know how long their employer will pay them in the event of a long absence from work. If your employer is a big multi-national employer they would most probably have given you a handbook which contains this information. However, if you work for a smaller company, the chances are you were never told and did not ask. We tend to assume that our health is good and that bad things happen to other people but do have you sufficient savings to be able to pay your mortgage, council tax, bills etc if you were off work long term due to illness or accident and if your employer’s sickness benefits were less than you were expecting? Monthly mortgage payments and bills are just that – they need paying every month. Missing mortgage payments could lead to a build of arrears and, at worst, eventual repossession of your property. 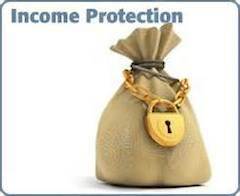 Income protection is a policy designed to pay out a monthly amount in the event of you being unable to work due to sickness or ill health. 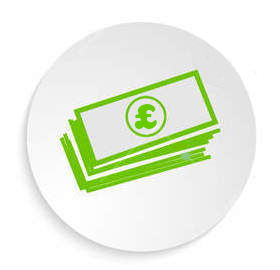 Short term policy – designed to provide a monthly payment over a maximum 12 or 24 month period for up to 65% of your gross annual income per year or whenever you return to employment (whichever is the sooner). Long term policy – designed to provide a monthly payment of up to 70% of your gross annual income until you can return to work or until the policy term ends. Waiting periods (known as deferred periods) apply – these can vary from being covered from the 1st day of sickness or from 30 / 60 / 90 days of sickness depending on your personal requirements and circumstances and existing ( if any ) employer benefits. If the worst should happen and you suffer an accident or sickness that results in you being away from your employment over a long period you will have the peace of mind that you will have a monthly income coming in which will allow you to concentrate on getting better while meeting your monthly commitments.